You’re probably familiar with two factor authentication if you use services like Google Suite, Apple iCloud, or Xero. It’s sometimes called two step authentication or verification. With two factor enabled, in addition to supplying your email address and password when logging in, you’ll also need to enter a unique code. This code is generated by an app on your smartphone, proving that it’s really you. You’ll need an authentication key each time you sign in, although you can remember a device if you regularly sign in on it. 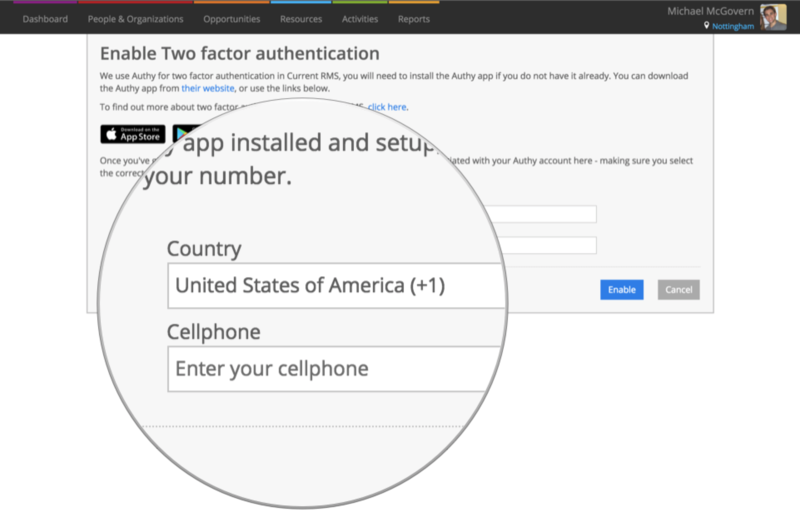 Why use two factor authentication (2FA)? Two factor authentication adds an additional layer of security to your account. Even if your password falls into the wrong hands, a malicious individual would still require the unique code generated by your device to log in. We recommend all users enable two factor authentication for their Current RMS account or enable Single Sign On (SSO) with Google or Microsoft. If you use SSO, Google and Microsoft accounts may also be set up with two factor authentication. Two factor is enabled on a per-account basis. To turn on for your account, edit your profile by clicking your icon at the top-right and choosing Edit your profile from the menu. On the next screen, click Enable Two Factor Authentication to get started. 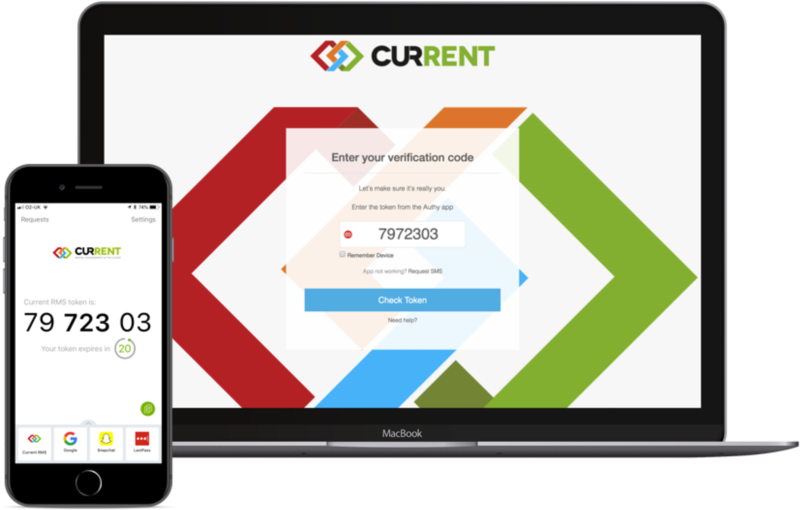 We use Authy for two factor authentication in Current RMS. Authy is an app for generating two factor authentication tokens. Apps are available for Android, iOS, Chrome, Windows, and Mac OS. You can install Authy on multiple devices, rather than being limited to one phone – perfect if you share your Current RMS account. To set up, download the app on your phone or device and sign up for an account. 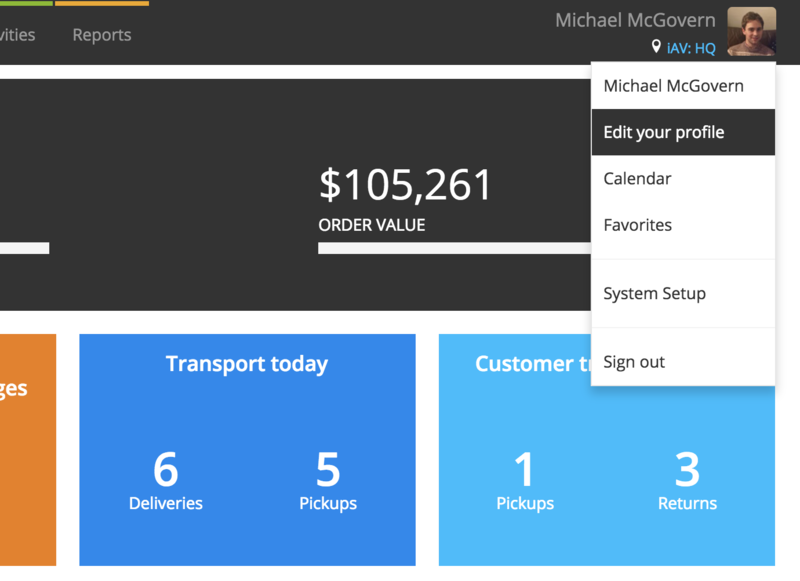 Enter the telephone number associated with your account on the screen in Current RMS. Make sure to choose the correct country code. Authy should send a notification to your device to let you know Current RMS has been added to your account. Tap this notification to grab your code. If not, open your Authy app and you should see Current RMS. Enter the token at the prompt and choose Enable my account. Remember that tokens have a 30 second lifespan, so the token might change while you’re inputting it if you’re close to the end of the timer. 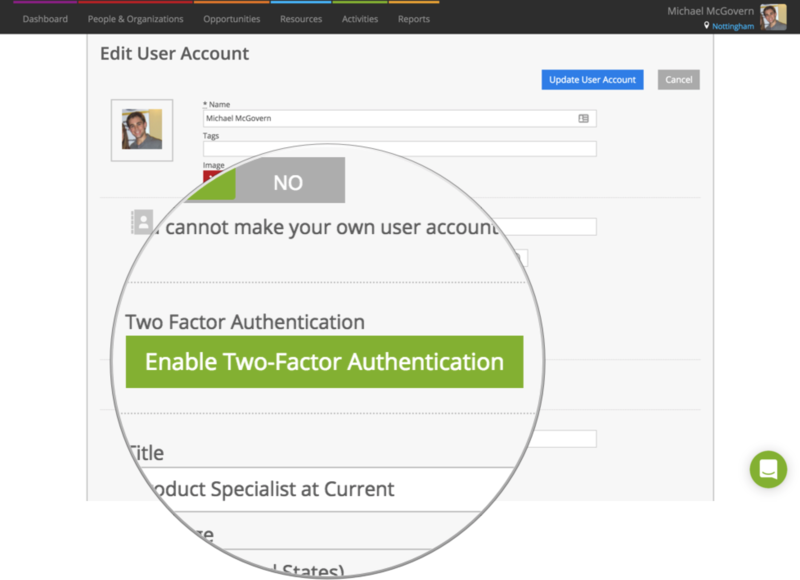 Once enabled, signing in with two factor is simple. From your sign in screen, enter your email address and password as normal. At this point Current will then prompt you for your Authy token. Open your Authy app and enter the token you see. Hit Check Token to log in. If you trust this device, tick “Remember Device” to tell Current RMS not to ask you for a code on this device for the next 30 days. If your Authy app isn’t working, click Request SMS to get a text message to the phone number associated with your Authy account. Enter the number sent to your device to log in. I wasn’t prompted for my Authy token. If you tick “Remember Device” when entering your token, you’ll not be prompted on this device for the next 30 days. If you sign in with Google or Microsoft, Current’s two factor authentication isn’t used. For additional security, you may enable two factor on your Google or Microsoft account. I didn’t receive the SMS yet. You should receive the message straight away, but sometimes cellular networks can be a little slow so give it a little time. The message is sent to the phone number that you registered on your Authy account, so make sure that you’re checking the correct device. Don’t have access to Authy or device or phone number to receive SMS?